This month, we’re running through our top 10 home improvements that take 60 mins or less, so you can fix your house up, lickety-split. As a nation, we love a bit of DIY. But unless it’s a Bank Holiday weekend or you’ve taken a week off work, you’ve probably not got time to take care of everything that needs doing which means that little jobs can mount up.Who hasn’t got that one task they’ve been meaning to take care of for longer than you can remember? So, we thought we’d run through one quick-and-easy home improvement for every room in your house. Plus, we made sure that they’re all quick to complete, so you can tackle one or two a weekend and still have time to put your feet up. The first thing on our top 10 home improvements that take 60 mins or less is taking care of a pesky problem: a leaky tap. A dripping tap can add as much as £100 onto the cost of your water bill every year. Even worse, if your tap runs a constant dribble and can never be shut off completely, you can use over 450 litres of water a day, or 175,000 litres in a year, costing the homeowner an additional £300 onto their water bill. If you’ve got a spare 60-minutes, try fixing that drip! Here’s a really useful how-to video. 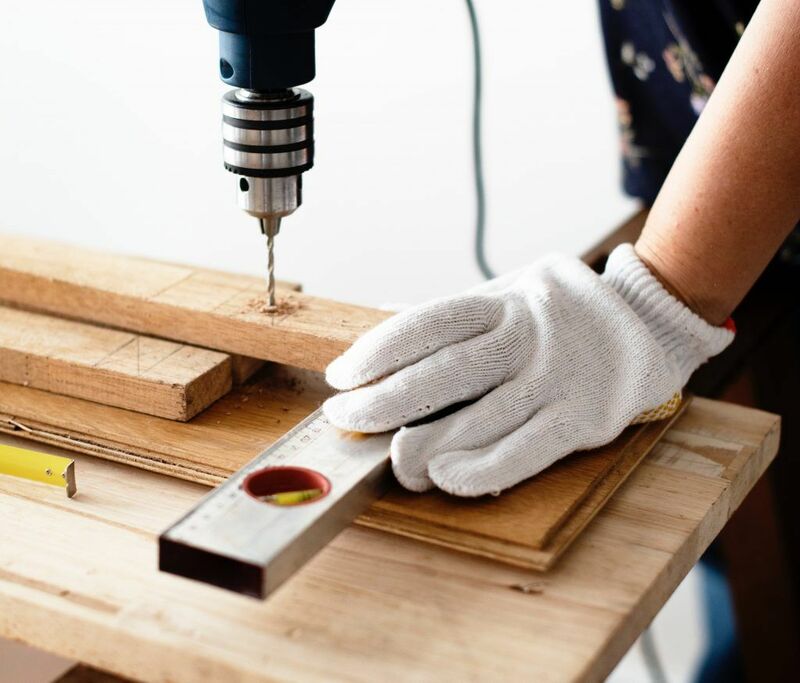 Second on our list of top 10 home improvements that take 60 mins or less is taking care of a problem that can be both unsightly and costly if ignored. So, whether your sealant has discoloured and needs a spruce up or it’s leaking and you’re worried about water damage, replacing the seal around your bath can be a tricky job. A feature wall takes far less time to decorate than the whole room but can transform a space in an instant. You can paint it in a bold pop of colour, wallpaper it in a feature wallpaper, add wooden panels…you name it. If it’s going to draw attention to the wall, you can do it. It’s entirely up to you! If you need some inspiration though, here’s an interesting idea for a geometric feature wall. Drafty houses cost you money on two fronts: the cold air leaking in means it takes longer to warm your home and it makes you feel chilly, which means you’re more likely to crank the heating up. Weatherstripping stops air from escaping out through the gaps around the doors and windows and keeps your house warmer. And it is quick to do. The strips are adhesive and can be done and forgotten about in under an hour. You can pick them up from your local DIY store or Amazonfor about £5. Do you have one annoying squeaky floorboard somewhere? The one you try and avoid late at night? Well, you can solve it in less than 10 minutes by just sprinkling talcum powder down the gaps in your floorboards. The powder will fill the gap causing the noise and hey presto! You’ve got a squeak free hall. Now, go enjoy those 50 minutes left on your DIY hour! For £22, you can rent a carpet cleaner from Homebase for 24 hours, which would let you give all the carpets in the house a really thorough clean. 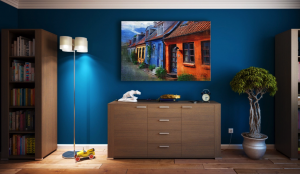 But as this is about home improvements that take 60 mins or less, not home improvements that take 24 hours or less, this tip focuses on just the living room. Pull the sofas out, take away the coffee table and give the carpet a good clean. Even if it doesn’t look dirty at a glance, it’ll blow your mind how much cleaner and better it looks afterwards. We’re going to add two home improvements for the back garden. Why? Because gardening is fun and because they’re both great money saving tips. First up, using old boards, you can build a raised bed garden. Raised beds are perfect for throwing together in less than an hour, but also for growing your own fruit and veg and saving money on your weekly shop. Our next tip is to set up a compost bin. Although local councils collect food waste now, it could still be put to better use in your garden as fantastic compost for growing healthy food for your family. If you’ve ever entered a room to find your kid has embraced their inner Picasso and drawn all over the wall, this is the tip for you. If you paint a wall in your kid’s room with chalkboard paint, they’ll be able to draw on it to their heart’s content and you’ll never have to think “how on earth am I going to get crayon off the wall? !” again. Plus, the little ones love it! To finish our list of home improvements that take 60 mins or less list, we’re going to look at a way to spruce up the front of your house. This tip is for the for the boys (and girls) who love their toys: power wash the driveway, your front path or even the fascia of your house. If you live on a main road, you’ll be surprised how quickly residue builds up in your front garden and on the front of the house. So there you have it, our top 10 home improvements that take 60 mins or less. 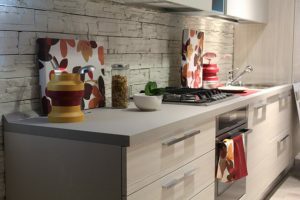 If you’re interested in other time and budget friendly ways to improve your home, check out the DIY section of our blog! It’s packed with tips to make your home look a million bucks, without spending even close to that.